Oh snap. I never finished the last season. Not surprised tho. Still one more season to go. This is my first time hearing this. Shoot I just found out that there were 6 more episodes this year lol, i stopped watching in september. Season 8 was just aight. But I might as well finish what I started. THIS DAMN DUDE GAVE A HJ TO THE MAN THAT SLEPT WITH HIS WIFE AND ABDUCTED HIS DAUGHTER?!!!!!!! I literally LOL'ed and then noped right out of this movie after he told that story. Those parents. wew. On The Blacklist, do we ever find out who Red is to Liz? I heard Tom dies too. I'm still on season 3. Tom is definitely dead Finally. I stopped watching TBL so long ago cuz they kept teasing the Reds/Liz connection. Stopped caring. Checked back in randomly to see certain ppl still alive and said I'm good on catching up. The actor who played Tom is on a doctor show on NBC now. Tom did get to be in some spinoff show with Famke Jannssen though. Yea, I kinda got tired of it too. I've had season 3 on my laptop since fall 2018 and never watched a single episode until this week. It's cool because its 22 episodes a season and helps pass the time but joint got too repetitive. So I guess this is a spoiler for anybody who hasn't figured it out by now but I guess Selena Gomez complained to Meth about her thread? So I guess this is a spoiler for anybody who jasnt figured it out by now but I guess Selena Gomez complained to Meth about her thread? 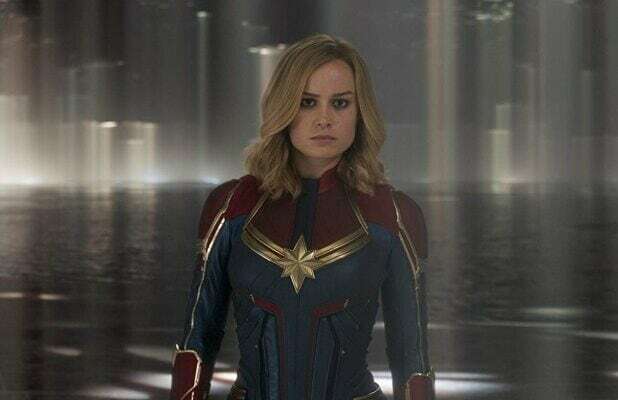 The other day we looked at a post from Chinathat was shared online back in January, long before Captain Marvel premiered. That post contained details about the movie, the post-credits scenes, as well as the Endgamefootage that Disney showed privately months later. Also, the post is filled with references to past MCU films, as well as connections with other movies and links to religion and mythology. The problem is that it’s written in Chinese, and Google Translate does a poor job of translating it. We found a fantastic recap in English, though, and you should definitely check it out. UPDATE: Redditors were able to prove that the post was edited. It’s still worth a read, but there’s no reason to believe anything in it. In what follows, however, we’re going to focus on an extremely messy Ask-Me-Anything post on Reddit from a user who created an account solely to leak information about Endgame. He supposedly worked for Marvel Studios, but he was fired for “no reason at all for other people leaking info about the movie,” so he decided to leak tons of details from the film. This user has been partially verified by the mods as someone that likely has relevant information or spoilers. With that in mind, let’s look at everything the Redditor had to share about the movie while answering some of the questions ourselves that were asked in the post. In other comments, he explained that Cap is the only other person who can lift the gauntlet made from Thor’s old hammer — which begs the question, how did they retrieve the old hammer that was destroyed by Hella in Ragnarok? Tony and Shuri recreated the hammer using data extracted from Vision and the Mind Stone, according to the post on Reddit. Using the new gauntlet, Captain America resurrects the dead, and the final battle will take place at the old Avengers tower. Yes, all the heroes will be back for this one. It’s like their silent at first then it’s a heartwarming moment, and they have a lot to talk about in short time, and Tony talks about being wrong about the signing accords and cap talks about them needing to be in check, and the should handle future problems in a better way. It’s not a whole convo about it just a quick apology from both sides, and they move on tony thought cap dyed and visceral. Other secondary characters will also die in the movie, and someone will lose an arm, though it grows back. It’s unclear who loses the limb because of the sloppy way the Redditor was answering questions. As for Stark, he will retire after the final battle, the leaker said. He also said that Stark will bring in new Avengers and that Nick Fury makes Spider-Man the captain of the team. This particular claim is a bit strange, considering that Marvel’s Kevin Feige said before that Captain Marvel would become the new leader of the Avengers. Not to mention that Nick Fury seems to meet Spider-Man for the first time in Far From Home, which takes place chronologically after the events of Endgame. Stark uses the battery the Rocket stole as an energy fuel source the power the ship alongside using parts from Nebula and Stark finds Rocket’s nano repair gun which has only a little bit left inside and I mean a little bit. Professor Hulk apparently doesn’t appear until the third act, and he’s the one who delivers the final blow to Thanos. Thanos looks at Hulk with a mad grin you again I guess you didn’t learn, professor hulk grins charges full speed toward Thanos drawing his fist back clean shot to Thanos’ face. Thanos goes flying Professor Hulk yells out of rage. With Avengers theme in background. Doctor Strange is present in astral form, and he plays a “key role” in the film. The leaker also said that Strange placed a time loop spell in Infinity War to give them time to figure out how to undo the snap. The Ancient One knew about Thanos from Doctor Strange when he goes back to visit her. He tells her what happens she is not surprised about how strong he’s become because she knew he would learn how to use the time stone. They will also show scenes were Doctor Strange looked through all the millions of timelines and outcomes. I don’t have info on that wasn’t around from that part just heard it from some of the people on set they didn’t go into detail like they [were] serious about any conversation about the movie. [They] had security people disguised as normal workers to catch people talking about so [they] can be terminated. Hawkeye’s family was not killed by the snap itself, but they did die as a result of the snap. “When Thanos snapped people driving trains and bus, and planes get snapped to so who’s there to control” them, the leaker said. And that’s why Strange is able to revive them somehow. This is also a somewhat dubious claim, or it’s just not being explained well. I’m pretty sure the entire world knew about the snap in the days that followed. They would refer to it at something else, of course, but it must have been pretty clear to everyone on Earth that some sort of tragedy occurred. Finally, Hawkeye will go back in time to get Loki’s staff. We also have no idea how they’d obtain Thor’s old hammer, or how Fury makes Spider-Man the new captain of the team. Is Spider-Man really going to try to go on vacation without his suit immediately after being made head of the Avengers? It’s always possible that Marvel has been misleading us all along with the Spider-Man 2 trailer, but something really doesn’t add up. Some stuff lines up with previous spoilers and CM movie. This leaker has stayed consistent with his last batch of spoilers that were partially right. 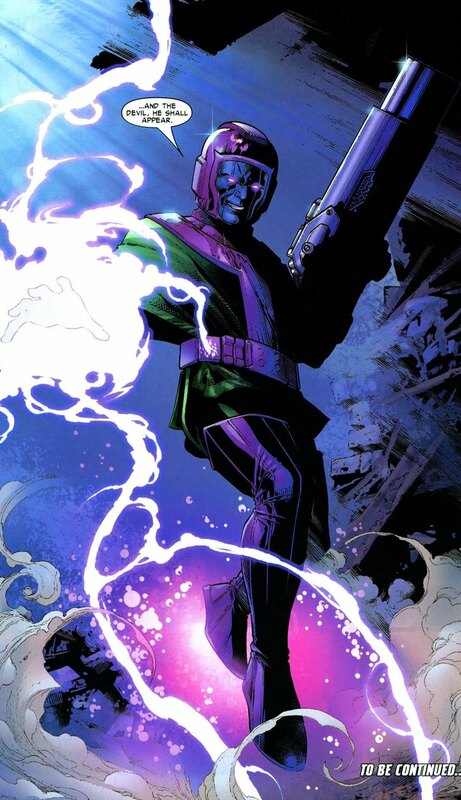 Kang the Conqueror in the Quantum realm. Damn. Too much to absorb. Seems a bit too much going on. But I do remember that leak they posted and a ton of that was true. “Meanwhile in KL, Quyburn informs Cersei that the dead dragon has crossed the wall and is going to attack the seven kingdoms (scene from the trailer). Plus, we’ll see a chat between Euron and Yara. He tells his niece that he is going to KL to **** the queen. About the GC: it seems they arrive without the elephants what seems to enrage the queen, who will sleep with Euron for bringing her the Essos army. I stopped watching TBL a while back too. Too many shows I was juggling at the time. Knew about the Tom spinoff but never watched it. I saw previews for his new NBC show so I figured he got got. Why dude Dembe still alive and kicking? Man Cap sacrificing himself gonna hit me right in the feels.